The following is an excerpt taken and adapted by the Orthodox Christian Information Center from The Orthodox Church by Bishop Kallistos (Ware). The Orthodox Church was founded by our Lord Jesus Christ and is the living manifestation of His presence in the history of the mankind. The most conspicuous characteristics of Orthodoxy are its rich liturgical life and its faithfulness to the apostolic tradition. It is believed by Orthodox Christians that their Church has preserved the tradition and continuity of the ancient Church in its fullness compared to other Christian denominations which have departed from the common tradition of the Church of the first 10 centuries. Today the Orthodox Church numbers approximately 300 million Christians who follow the faith and practices that were defined by the first seven ecumenical councils. The word orthodox ("right belief and right glory") has traditionally been used, in the Greek-speaking Christian world, to designate communities, or individuals, who preserved the true faith (as defined by those councils), as opposed to those who were declared heretical. The official designation of the church in its liturgical and canonical texts is "the Orthodox Catholic Church" (from Greek catholicos meaning "universal"). The Orthodox Church is a family of "autocephalous" (self governing) churches, with the Ecumenical Patriarch of Constantinople holding titular or honorary primacy as primus inter pares (the first among equals). The Orthodox Church is not a centralized organization headed by a pontiff. The unity of the Church is rather manifested in common faith and communion in the sacraments and no one but Christ himself is the real head of the Church. The number of autocephalous churches has varied in history. Today there are many: the Church of Constantinople (Istanbul), the Church of Alexandria (Egypt), the Church of Antioch (with headquarters in Damascus, Syria), and the Churches of Jerusalem, Russia, Serbia, Romania, Bulgaria, Georgia, Cyprus, Greece, Poland, Czechlands and Slovak, Albania and America. are completely equal in the power granted to them by the Holy Spirit. The order of precedence in which the autocephalous churches are listed does not reflect their actual influence or numerical importance. The Patriarchates of Constantinople, Alexandria, and Antioch, for example, are at present only shadows of their past glory. Yet there remains a consensus that Constantinople's primacy of honor, recognized by the ancient canons because it was the capital of the ancient Byzantine empire, should remain as a symbol and tool of church unity and cooperation. Modern pan-Orthodox conferences were thus convoked by the ecumenical patriarch of Constantinople. Several of the autocephalous churches are de facto national churches, by far the largest being the Russian Church; however, it is not the criterion of nationality but rather the territorial principle that is the norm of organization in the Orthodox Church. communities which split from Rome in the course of centuries diverged even more from the teaching of the Holy Fathers and the Holy Ecumenical Councils. 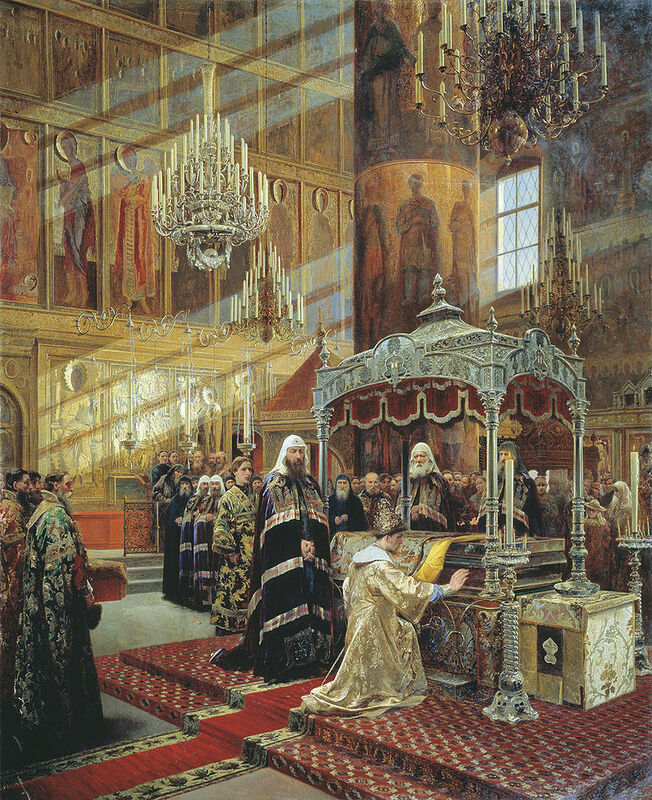 Orthodoxy and heterodox confessions, especially in the sphere of spiritual experience, the understanding of God and salvation, there exists an ontological difference which cannot be simply ascribed to cultural and intellectual estrangement of the East and West but is a direct consequence of a gradual abandonment of the sacred tradition by heterodox Christians. These links are provided for informational purposes only, and their presence here does not imply any endorsement of their content by our Church or its members. The Eastern ORTHODOX Church is the ONLY TRUE and Apostolic CHURCH. part 1 of 3 - American documentary: "The Ancient Church"